Jonathan Adams and his professional furnace and air conditioner technicians at Niagara Home Heating have served residential and commercial customers in the Niagara Region for more than 15 years. 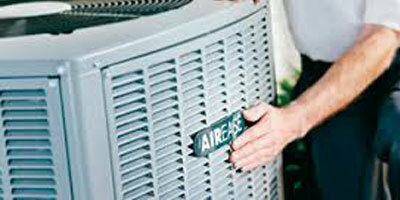 We install and service a wide range of furnace and air conditioner products. We also specialize in hot water tanks, boilers, gas fireplaces, generators, commercial HVAC systems, ductwork, and air quality installation and service. We are known for providing personal, high quality and affordable service you can depend on. 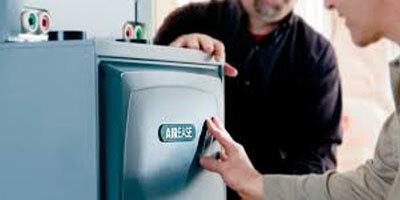 If you need to repair or replace your furnace or air conditioner we can give you an honest and professional assessment. Do you have a question on how you can save money on your energy bills? We offer a free in home evaluation of all your heating and cooling equipment so that we can help you find ways to save money that fit your needs and budget, as well as answering any questions or concerns you might have. Niagara Home Heating is independently owned and operated locally in the Niagara Region. All of our heating and cooling services come with a 100% satisfaction guarantee, so that you know we are dedicated to providing you with honest and professional advice. Read our customer reviews to get their opinions on how well we did while installing or servicing their furnace or air conditioner. We know that we can exceed your expectations as well. We would love for you to experience our great customer service for yourself by contacting us today. Fast and Excellent service of installing our new Furnace! I was very impressed with Ryan and his Buddy. John also gave a reasonable price! He explained in details about the Installation. I would definitely recommend this company! Mike from CHARNWOOD Niagara Falls, ON. Extremely happy and grateful for Ryan and friend for coming over on the coldest day of the year to fix an oddball furnace problem where it was constantly short cycling. They stayed longer than required to make sure the problem was actually fixed, and also addressed a bunch of concerns that we had. I would definitely use their service again. I seldom give a five star rating, but they were honest, quick, courteous, and quite reasonable, I feel! I will call them again, if needed. Great fast service! They were here within 15 mins of our call. Jimmy was very kind and helpful to figure out why we didn't have heat. Would very much recommend to anyone! Thank you so much for all your help this evening! John and his crew are the greatest, my old furnace died last week during the cold spell, Called John up and he came over right away and gave me a very reasonable price on a new furnace and installation. He promised they would be over the next morning at 9:00 a.m. to install it. Next morning they were there promptly at 9:00 in the morning. His crew were very polite and courteous and by mid afternoon heat was back on. You guys did a fantastic job and would highly recommend their services to everyone. Thanks Again. Knowledgeable, professional, and quick results. I called Niagara Home Heating to repair my furnace, not only did they fix the problem, they explained to me what was wrong & how I can prevent it from happening again. Highly recommended! After my regular heating and air conditioning company for the past 20 plus years (locally owned) charged me $260.00 to tell me both my furnace and air-conditioner were shot I decided to get a couple of estimates prior to purchasing a new system. I am really glad I went out on a whim and called Niagara Home Heating as not only was their pricing cheaper for a better system but they were the only ones who could give me a 10 year warranty on both parts and labour. I don't know the names of all the service technicians that helped with the installment but every single one of them were professional in every aspect of the installation and at one time there was 4 of them working at my house. This is the first time and probably the last time I will rate and review any service but I felt compelled to tell of my experience with this company and highly recommend them to anyone looking for a new furnace or air conditioner! Thanks again for the excellent service! I needed a new furnace installed quickly and Niagara Home Heating delivered. They were very professional, everyone was very pleasant to deal with, the did very clean work, they answered all of my questions in clear detail, and they left the job site spotless when the project was finished. The pricing is also competitive. I highly recommend them. Incredibly happy with Niagara Home Heating! When my furnace broke I was panicked and stressed to say the least- John and Wes were patient, responsive (despite it being off hours) and quick to get me back up and running. They were detailed in telling me both the problem and resolution. Thank you so much, would highly recommend Niagara Home Heating to anyone in need! John helped me out when my furnace stopped producing heat on one of the coldest days we had so far. A tech came out out in a snowstorm, he explained and fixed the issue, and the price was fair. Great work, guys! I had a problem with our furance. I called in the morning and they came early afternoon. Wes called to let us know he would be there shortly. He knew what the problem was and remember installing our furance. He had it fixed and waited to make sure it was working properly before he left. I would recommend Niagara Home Heating. I have to say my experience with them is negative. I'm an engineer and understand furnaces relatively well, but I wasn't home when the furnace in my rental property failed to deal with that and my wife called Niagara Home Heating just based on good google reviews. They diagnosed that the exhaust fan (draft inducer motor) failed (which certainly was the case) and also the pressure switch failed (for this part I'm not sure). Both parts together are approx $300 (market prices) but they charged $750 + HST total, so the labor cost was some $450. Expensive for less than 2h of work total, but they did come twice, to troubleshot and then with parts to repair. Price aside (that was an emergency repair although still during normal business hours), however immediately after the fix the furnace developed a problem of tripping before temperature set on the thermostat is reached. They did something about it and the problem did not re-occur for few days, but started re-occurring again and it seemed that furnace was overheating until some safety switch trips it off. To make it run again, it was necessary to recycle power to it to reset the fault and so on. The problem progressively got worse over about a month of time, and it reached a point when temperature in the house could be be brought above 17 DEG C. I was not home again, and my wife called Niagara Home Heating again. The technician showed up, but we were not there, only the tenant hosted him. The technician made an assessment which did not make any sense to me. He explained that furnace was overheating due to insufficient air flow and claimed that: The air filter was dirty, which simply was not the case - the filter was replaced just a week before that. He also claimed that AC coils were dirty and blocking air flow (and he did so without seeing coils) which later proved not to be the case either. He further claimed that intake ducts were dirty. And while that may be the case, at least part of the ducts behind intake grills were vacuumed not long ago before that, so I'm not sure where he was able to see dirt. And, finally, he made our day when he advised the tenant that some openings on the basement floor were dirty and need to be cleaned too. Apparently, he didn't realize that those openings only looked like heating outlets but otherwise have nothing to do with heating whatsoever - the basement has a wooden sub-floor and those openings are only for ventilation between the sub-floor and concrete. He left without attempting to fix anything, but also did not charge anything for the visit. The wife realized that their service was of little help and called somebody else. Another serviceman came, used a "snake" camera to look inside and determined that AC coils were clean enough and were not causing any significant problem with air flow. He then replaced the pressure switch (which supposedly Niagara Home Heating replaced during the first repair a month earlier?) and also determined that furnace was over-firing and did some minor adjustments on the gas valve. He charged $200 for that and the furnace was running just fine ever since. We recently had our second great experience with Niagara Home Heating. John is professional and knowledgeable and did not try to upsell. His team was punctual, courteous, efficient and hard working. They did an excellent job and left the place spotless. Thanks guys! Niagara Home Heating's professional heating and cooling technicians can find ways for you to save money on your energy bills. 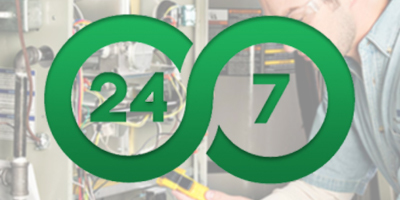 We are available 24 hours a day and can fix furnace and air conditioners from all major manufacturers. Get some of the best furnace and air conditioner prices in the Niagara Region. Fast and Excellent service of installing our new Furnace!I was very impressed with Ryan and his Buddy. John also gave a reasonable price! He explained in details about the Installation. I would definitely recommend this company! Mike from CHARNWOOD Niagara Falls, ON.